Fire is one of the most common disasters to threaten any household. Potential loss increases dramatically if that household belongs to a prepper family. With hundreds or thousands of dollars invested in food and supplies, a fire can spell disaster for prepper families. And while fire is a relatively common disaster (much more likely than, say, a zombie apocalypse), few people are adequately prepared. The photo above shows a decimated kitchen in Forest Grove, Oregon after a small Christmas tree went up in flames on Christmas Eve, 2012. The fire caused an estimated $90,000 in damage. The tree was only two feet tall. Most people don’t realize it, but fires are far more common than floods, hurricanes, or tornadoes – especially if you live in a town home, apartment, or condominium. Just this month, a massive fire in Houston decimated two apartment complexes, damaging more than 30 housing units. Those families are now left homeless during the holidays. According to the American Red Cross, you have about two minutes to escape when a fire breaks out. This may be enough time to alert family members and call the dog, but what about your possessions? You may not even be able to grab your bug out bag. • Hide valuable documents in a binder that is easily accessible or, better yet, put them on a flash drive or in a fire-resistant safe. • Ensure all smoke detectors are working properly and make sure there is one in every bedroom. I know it’s tempting to disarm them when they beep, but don’t do it! Check the batteries regularly (we recommend every 6 months). • If you have a Christmas tree, make sure it is adequate watered. Dried out Christmas trees are known to cause fires. • When using candles, make sure they are placed away from flammable items like curtains. Never leave pets or children unsupervised when a candle is burning. • Create a fire escape plan with your family. Hold a drill every so often to make sure everyone knows the plan. • Most fires begin in the kitchen. Be careful when cooking. Don’t store flammable items next to the stove. 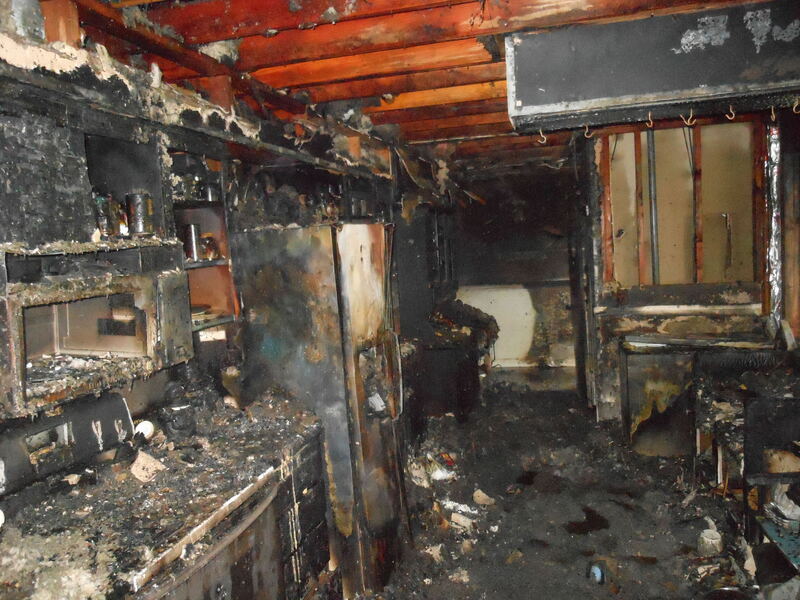 Don’t leave the room when food is cooking and always make sure the stove/oven is off when you leave the house. 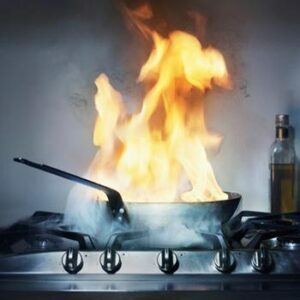 More often than not, kitchen fires are grease fires. DO NOT pour water on a grease fire. Turn off the heat source and cover the fire to deprive it of oxygen. If you can’t cover it, throw as much baking soda as you can find on the fire. Finally, make sure to call 911 as soon as the fire breaks out. Escape with your family as quickly as you can and stay far from the house as you wait for help.